Hi loves! How are you today? I am enjoying my weekend at the Best Kept Secret festival - yesterday we had the pleasure to see Bloc Party, Arctic Monkey's and Tyler the Creator. Macklemore was also performing but the sound was so bad and weak, we couldn't here anything. We go home every night because staying in a tent is just not my thing anymore haha, but it is close to where we live :). 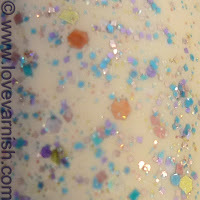 Today I have for you a lovely Shimmer polish, called Jennifer. I absolutely adore this one with the gorgeous copper bits, and I wanted to layer it over something that would emphasize on that. That's why I chose OPI My Vampire Is Buff and layered 1 coat of Shimmer Jennifer over it. It applied so easy, glitter spread was good, no dabbing or anything. Also, these pictures are without topcoat. It doesn't look gritty or dull at all! 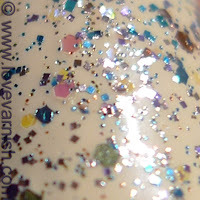 I love these glitters! After taking the first set of pictures I figured I could do a jelly sandwich.. I used OPI Don't Touch My Tutu and applied a very thin coat. It really brings out the blue in Jennifer and I quite liked this combo. 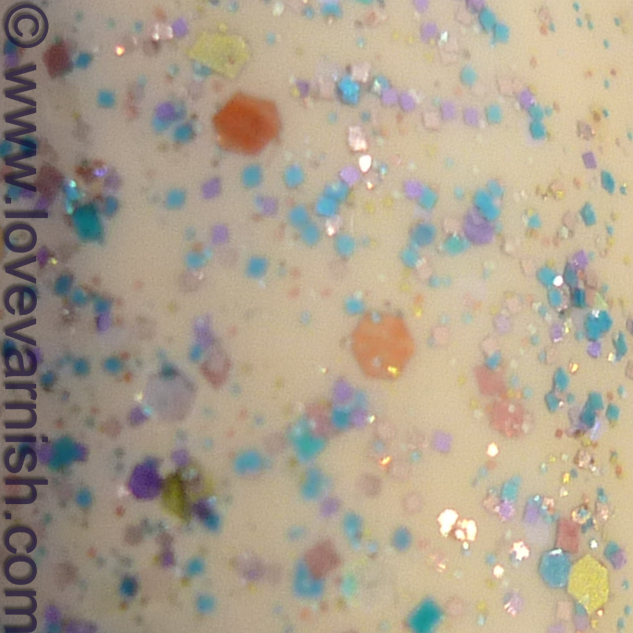 What do you think, jelly sandwich or do you prefer this glitter without a topper?